I really enjoy reading your articles about the best speakers in the world, even though hardly anybody who is really interested in the ultimate will ever be able to afford any of the equipment you write about. For that reason, I have long turned to building my own speakers to get near that elusive live quality. However, not being able to afford any of the top manufacturers’ equipment has not kept me from enjoying this hobby of ours. I have, for example, visited quite a few of the last installments of the Munich High End [show]. I play the drums myself, and I regularly visit live orchestral performances in our beautiful concert hall in Eindhoven. When I do, I prefer to sit above the orchestra, as that is the way such performances are recorded. Having said all this I must tell you that I feel that all the brands you prefer don’t even come close to a live performance. The reason for this, I feel, is that they all energize the room completely differently than do live instruments. Most live instruments “throw” their sound more upward and in all directions than exclusively to the front, as do all of the superspeakers you seem to prefer. To me, the only speakers that remind me of attending a live concert of (unamplified) live music are the MBL 101 X-tremes. They come really close to live in terms of real dynamics, a feeling of being able to reach out and touch the instruments, and a feeling of space that is so typical of live music. Their only flaw, I feel, is that sometimes you still hear a bit of a metallic coloration. Then again, that is also what you hear live sometimes, and this coloration may also be attributable to the equipment driving the speakers or the recording process. Please keep up the good work. First off, Jeff, let me congratulate you for being willing to buck the system and make a comparison between two darlings of the audiophile press. In my opinion you will gain readers, because, let’s face it, most reviewers will not make pointed comparisons between competing products. It is clear to me from the response you have received that there are more than a few audiophiles out there that are trying to make a choice between the Magico S7 and Rockport Technologies Cygnus speakers and, now, they have a solid data point in which to gain useful knowledge about these two apparently fine loudspeakers (I have not heard either, but am a fan of the Magico S5). I think Goodwin’s [High End] owes you a debt of gratitude as well, as I believe you have stoked increased interest in both models, and are driving traffic to their store where people can make their own comparisons. Please keep up the great work, and I’ll keep reading your valued opinions. Thank you for having the guts to directly compare two speakers (S7/Cygnus) from two different manufacturers in the same price range. There are lots of “fans” on each side, not to mention two heavyweight manufacturers. These happen to be the two speakers I am interested in as well. Identifying strengths based upon design choices and how they affect sound is what reviewers (in my mind) should be doing. No “winners” or “losers,” just different preferences for sound enjoyment. Sounds like two great choices for people with different tastes to choose from. No losers, only winners. Listen for yourself. Guess I’m going to Goodwin’s when it warms up. Thank you again. I’m very close to pulling the trigger on a new rig. I was ready to dive in with the Soulution amp/preamp combo and the [Magico] S7s. After your endorsement, I flew out to RMAF and was blown away by the Magico/Soulution connection. Now I’m getting a vibe that I should listen to the latest Rockports. I definitely will make my way to Goodwin’s High End, but wondering what your thoughts are. Which did you prefer overall, the S7s or the Cygnuses? I look forward to hearing from you. I’m surprised this question did not come in on February 1, the day my review of the Rockport Technologies Cygnus loudspeakers posted. I received your email on February 2. OK, the usual disclaimers: I have not heard the Magico S7s in my room or with exactly the same electronics that were used in my Cygnus review. Let me be clear: I did not -- in my room or anyone else's room -- directly compare these two products. So the best thing -- by far -- that you can do is to go directly to Goodwin’s, where they will put each set of speakers into place one pair at a time in an excellent listening room and let you do back-to-back comparisons until your heart’s content. That’s the easy answer, but I’m not going to duck your question, so . . . The best place to start is with the basic differences between the tonal balances of Rockport and Magico loudspeakers. To put it succinctly, the Rockports will sound more bass-centric to most listeners than the Magicos. I often describe this sound as one with a left-to-right-slanted tonal balance (what I imagine the frequency-response graph would look like). The Cygnus has full, articulate bass just like all Rockports I’ve heard, although it does have more midrange and treble energy than Rockports of days gone by. Still, the Cygnus has more prominent bass than the S7. There will certainly be listeners who will gravitate toward the Rockport sound. You may be one of them. The Magico S7, however, should not be mistaken for a speaker that is bass shy. On the contrary, the triple 10” woofers on the S7 will deliver super-low bass, and will do so with uncommon linearity. And the S7s will, in my experience, sound even more linear than the Cygnuses. The Cygnus certainly does not have that classic bass hump of the old Wilsons (I don’t know about the current ones), or nothing remotely close to it, but it does have a smoothly rising response down to the low bass, at least to my ears. The S7 counters with an incredibly resolving sound, without ever veering into harshness. Magico speakers really do possess that ideal combination of electrostatic-like speed with dynamic-driver punch, with an extra helping of extreme transparency. It is an addicting sound. You will also have to consider the aesthetics and the material design. The MDF/aluminum-hybrid Cygnus has the curvature and sleek lines that many will find visually alluring. The S7, on the other hand, has that military-grade build quality that seems to eclipse everything else out there in terms of tank-like solidity. It’s a Magico hallmark. In terms of electronics, I can confidently say that the Soulution products will get the best out of either speaker. 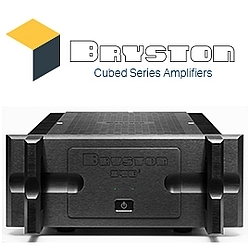 Both speaker models like clean, powerful solid-state, and the Soulution amplification fits that description in spades. I couldn’t agree more [“Why McIntosh Succeeds Where Others Fail”]. I’ve been an amateur drummer, music lover, and audiophile for 35 years and much of what I’ve auditioned, bought, and/or just listened to over the years has been less than satisfying or reliable. Ironically, I’m actually moving to McIntosh this year and then I’m done! Except for buying more vinyl! Ayre Preamp for a "Bit of Tube Magic"
For most of us, one difficult reality is that we can't simply go down to our "corner store" and check out all the high-end products that pique our interest. 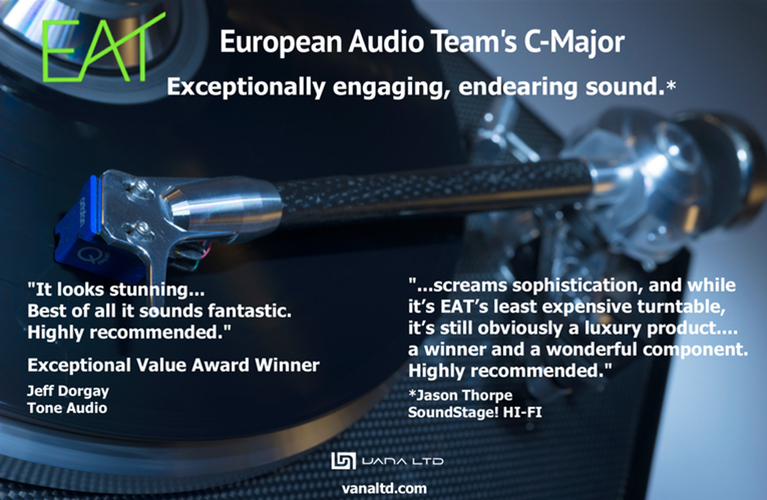 Add to that, the difficulty of working with an audio dealer who, despite the best of intentions, operates on a slim margin and cannot afford to cater to the whimsy of a "try 'em all on first," well-intentioned consumer. I just bought a pair of MX-R Twentys from a wealthy friend who upgraded to an all Robert Koda system: the most beguiling $600k system I've ever heard . . . but back to my own budget. The BAT VK-53SE preamp that I run now has a beautifully fleshed-out midrange, and nothing else. The Dan D'Agostino [Master Audio Systems Momentum] preamp that I borrowed from a friend has the inverse: a sterile and uninvolving midrange, with everything else in the A+ category, especially its expansive soundstage. So I am left wondering if the KX-R Twenty will lean toward the BAT, the D'Agostino, or neither. I'm looking for solid state that really does wield a bit of tube magic. Many seem to think the Ayre combo is a bit sterile sounding. Nagra Jazz? VTL TL7.5 III? And then there is Koda, Vitus, Exemplar, Trinity, etc., all out of my price range new and seldom seen for sale on Audiogon. Back to your review: I don't own the likes of the Magico Q7, as you used, but my Rockport Aviors are quite capable. Will the KX-R Twenty leave me missing tubes? Should I look to something like the Nagra Jazz? Penny for your thoughts. And of course, please speak candidly because I would never expect your ear and mine to be the same; but I strongly respect your opinion. I can't imagine choosing anything other than the Ayre KX-R Twenty if I were in your shoes. First, there is the synergy the KX-R Twenty will have with your MX-R Twentys -- they will be a perfect match, both functionally and sonically. Second, the sounds of Ayre's preamps -- and especially that of the KX-R Twenty -- have absolutely none of the problems that listeners typically associate with poor-quality solid-state electronics. I have heard many Ayre users call the sound "tube-like" over the years. I would call the midrange smooth as silk. Did Jeff Punk-Out on the Simaudio Review? Jeff, I enjoy SoundStage! Ultra’s strong opinions and clear editorial voice; thank you for producing a fine publication. You mention in the review introduction that you now use your DAC as a substitute for a preamplifier, and wanted to see if the Simaudio could sway you back to the traditional approach. I felt like you punted on this interesting question, as very few of your comments directly compared the sound of the Simaudio vs. the Wadia DAC. During your discussion of Enya’s Dark Sky Island album, you indicated, “My room sounded and felt larger, more cavernous with the 850P than without it.” Fair enough, the Simaudio is better, but it also costs about nine times as much as the Wadia. Did the Simaudio improve the sound commensurate with its $30,000 price tag? Was the improvement created by the Simaudio roughly 5 to 10%, or more like 30 to 40%? How would these percentages fluctuate in a more “modest” priced system, one whose total cost is maybe 25 to 50 thousand dollars (which probably represents the majority of your audience, and a reasonable home for a $3500 DAC)? What does this say about the value proposition of a traditional preamplifier that costs almost as much as a nice, new car? To my way of thinking, these are exponentially more interesting questions than how does a world-class traditional preamplifier costing $30,000 (Simaudio) compare to another world-class traditional preamplifier “only” costing $27,500 (Ayre), which earned three paragraphs of discussion. Candidly, the Simaudio/Ayre comparison was probably truly useful to a mere handful of people seriously considering this extravagant purchase and these two items, in particular. 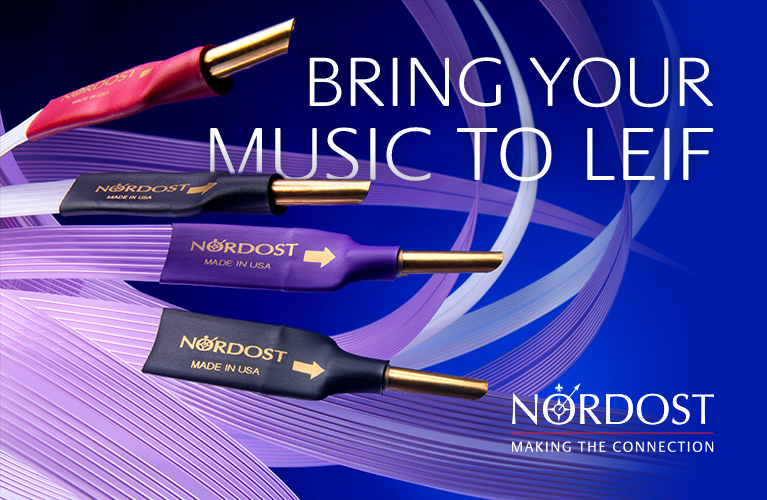 In contrast, DAC evolution, and a DAC’s ability to supersede a traditional preamplifier in even the loftiest of music reproduction systems, is of interest to almost ALL of your readers. You’ve never shied away from politically charged debate before. I hope this rather milquetoast review is not indicative of a shift in editorial direction for the remainder of 2016. Carey, thanks for reading, and the kind words. I’m happy to address your questions. First, did the Simaudio sway me back to wanting a traditional preamplifier in my system? No, it did not. Without creating a blow-by-blow comparison in this response, suffice it to say that the Wadia directly driving my power amplifier was at least as satisfying as having the Simaudio inserted into the chain, all things considered. If the DAC can properly drive the power amp, and has a relatively transparent volume control -- like the Wadia -- inserting more circuitry and cabling into the system is not likely to improve things. That was the case here. I’m sticking to the DAC-direct approach, 100%. As for the Ayre section, this was the most apples-to-apples comparison I could make. 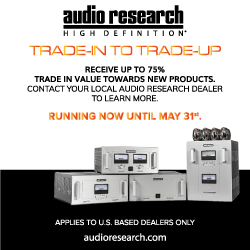 To a reader who is actually considering a preamp purchase of this magnitude, he’s probably also looked at the Ayre as well -- they are two of the best, both from topflight companies, etc. 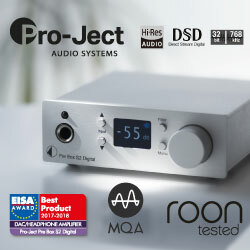 If someone needs a preamp with analog inputs, and is willing to spend $30,000 on the proposition, are they really also considering forgoing that purchase and buying a $3500 DAC instead? Not likely, hence the comparison I chose. The question of whether the reader would be better off with a DAC-based system is more the subject of an “Opinion” article. Thanks for the idea to write one of those. I'm an audiophile from Hong Kong, and also a Magico Q7 user. I've tried several amps with the Magicos, and all of them failed to bring out the real muscle of the speaker. Recently, I began to pay attention to Gryphon Audio Designs products and I suddenly found your article! Now a Mephisto is my number-one choice among three brands: they are Boulder, Constellation, and Gryphon. A true class-A Gryphon might be the real engine for the Q7. If money is not an issue, do you agree that the Mephisto Solo would be the perfect end choice? With my warmest regards and Merry Christmas! You are definitely on the right track. Although I think really highly of Boulder and Constellation, I have not had either brand powering the Q7s in my room. I have heard Constellation match well with Magico at shows, however. My top two choices based on what I've actually heard in the Music Vault would be the Gryphon Mephisto and the Soulution 711, which are stereo amps. The mono variants of those models would presumably work even better. Still, both the Mephisto and 711 supercharged the Q7s in ways that astounded me. They do not sound the same, but did share one common trait worth mentioning: bringing the subterranean bass of the Magicos to life. Lesser amplifiers that I have used on the Q7s sounded anemic by comparison, with the bass response suffering the most, and not by a small amount. After basking in Gryphon’s pleasures -- I recently upgraded to Mephisto Solo amplifiers -- I have come to believe my system needs an upgrade in another area to bring out the best from these amps. So next in line is the DAC. Presently I have the Burmester 113, a small DAC. Since I trust your views, what would be the most detailed DAC that you have auditioned with extreme transparency, extreme detail retrieval, and with extended frequency extremes? You have plenty of options, of course. The natural choices for a system with the pedigree of yours are the top models from companies like MSB and dCS. These will cost you in the neighborhood of a hundred grand. Lots of folks would choose one of these, just to make sure the DAC matched the other components in terms of price. Personally, even if I could afford to spend that kind of money on a single component, I would not sink six figures into a digital device. The state of digital moves too fast. 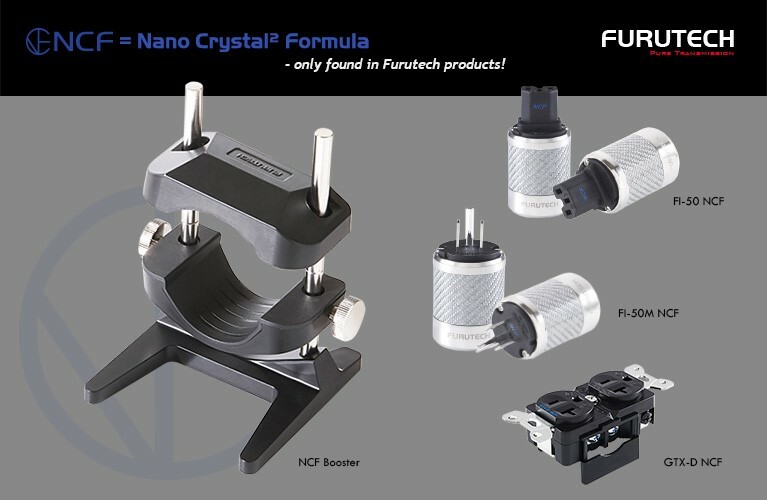 So I’ve got a couple of other options that might give you the performance you are looking for, for much less money. The first candidate would, of course, be the Gryphon Kalliope, which costs €19,800. Sonically, it would match the amplifiers that you’ve purchased and would of course be a perfect cosmetic match to your system. This Sabre-based DAC looks quire appealing, particularly for a Gryphon-based system. For much less money, though, you can get a DAC that you can read about on December 15 on SoundStage! Hi-Fi. The Hegel HD30 retails for only $4800, but is without question an assault on the state of the art. Read Doug Schneider’s description of the sound in a few days, and examine the noise specs of this unit, and see if it doesn’t offer just what you're looking for. I am one of your many fans and I wanted to take a second of your time to say thank you for your reviews and advice. I won’t tell you I have a favorite review or article, but I can truly say you have a lot of great information in the archives: the Paradigm bookshelf and subwoofer article, Jeff’s way to assemble a system (I needed the reminder), and the Aperion Audio Verus Grand Tower review (you singlehandedly verified them for many people and I almost purchased a pair). Oh, and I can’t forget about the "Benchmark Systems" -- a great series in itself. Like I said, a lot of great articles in the archives. Please keep up the great work and pass on the same sentiments to Doug Schneider and Hans Wetzel. Happy Holidays SoundStage! Network team.